Your AC system is your lifeline to comfort on the hottest summer days. That’s why you need Straight Line Heating and Cooling in your corner. From skilled AC installation to high-quality air conditioning repair, our experienced technicians provide all the services you need to keep your system running when the mercury rises. They stay on top of new technologies in the HVAC industry and earn the required certifications. We believe that our attention improves the quality of our work. If you need a local HVAC contractor that’s trustworthy, call Straight Line Heating and Cooling today. We offer free estimates and a 100 percent customer satisfaction guarantee. Our team has the vital training and experience that make them equipped to handle your new construction or replacement AC system install with skill and efficiency. Whether your AC service is part of your overall HVAC system installation or is a simple replacement of your prior AC unit, you’ll receive highly competent equipment placement, hookup and testing. 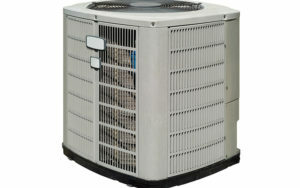 Our work is not finished until your AC system is correctly installed, tested and found to be working as designed. Our trained service technicians can get you started by helping you choose the system that will best suit your needs. You will receive a five-year guarantee on parts and labor when you purchase a new system. Additionally, you will receive a 10-year manufacturer warranty. Knowing you have an HVAC expert standing by when your AC system malfunctions bring real peace of mind. Our service technicians have been extensively trained to locate and correct the problem quickly and efficiently. Our repair techs are available 24/7 to handle those HVAC emergencies that simply can’t wait until morning. When your AC system starts acting up, don’t hesitate to call us and have it checked out. Doing so at an early stage can actually save you frustration, inconvenience, and money. Regular AC maintenance is critical to the dependability, energy efficiency and longevity of your air conditioning equipment. Making sure you schedule an annual AC tune-up every spring is one way you can ensure you and your family stay cool throughout the summer months. A precision tune-up and inspection clean away the grime that builds up during air conditioner use. In addition, they help ensure that all electrical and mechanical connections are secure and all system components are in good condition. At Straight Line Heating and Cooling, your service technician will also check the system’s refrigerant charge and add refrigerant when needed. Ask about our money-saving AC maintenance plans. When you need an experienced AC expert to handle an air conditioning repair or other air conditioner services, give your local Trane Comfort Specialist dealer a call. At Straight Line Heating and Cooling, we strive to meet and exceed our customers’ expectations 100 percent of the time. We’re always happy to share our expertise with the home and business owners of our communities. Our air conditioning experts are always standing by to give you the help you need. Our service area includes Paso Robles, Atascadero, San Luis Obispo, CA and the surrounding areas.